Master Jade Hwang, who has served as Secretary General of Unified ITF since 2013, is hereby named Executive Director of Unified Taekwon-Do. 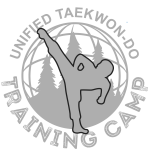 Master Hwang will manage the operations of the Unified Taekwon-Do headquarters under the guidance of President Grand Master K.S. Hwang.